If you are able to visit Capernaum, you will find there the remains of a small town dating from both before and after the time of Jesus. You can visit the synagogue (in fact two built one over the other), you can see the street patterns of the houses. Jesus made his home in Capernaum. Capernaum is situated on the north shore of the Sea of Galilee, and you can see immediately that the main activity of many of its people would have been fishing. You can picture a busy little place where, probably, people would have had a reasonable quality of life, with abundant fish from the lake, and fertile land on which vegetables and fruit could be grown. 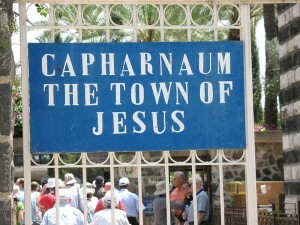 Jesus made his home in Capernaum. 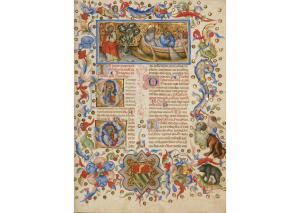 Near to Capernaum ran the Via Maris, an ancient trade route connecting Egypt with Syria and beyond; so through Capernaum would have passed a rich variety of people, speaking different languages, bringing their cultures, their trades and their learning. The people of Capernaum might well have offered hospitality to these travellers. Yet despite all these visitors, there are no signs of defensive walls around Capernaum. Is this an indication that this was a relatively secure and peaceful place, unthreatened? It was at the lakeside in Capernaum that Jesus met Simon Peter and Andrew, followed by James and John; and there he called them to follow him and to fish for people. Capernaum, therefore, could in a sense be said to be the place where the community of the followers of Jesus first began to take shape. And if we turn from the Gospel of Matthew to Mark and Luke, we hear that Jesus visited the house of Simon Peter and Andrew, where (people in Capernaum lived in extended families) Simon’s mother-in-law had a high fever. Jesus heals her, and that evening many others – the whole city, according to Mark – gather around the door of the house seeking healing for their sicknesses. In Capernaum, you can see what is reputed to be that house, albeit with a Byzantine church and then a 20th century structure built on top of it. And where was that lakeside shore where the risen Jesus came to share breakfast with his down-hearted followers? 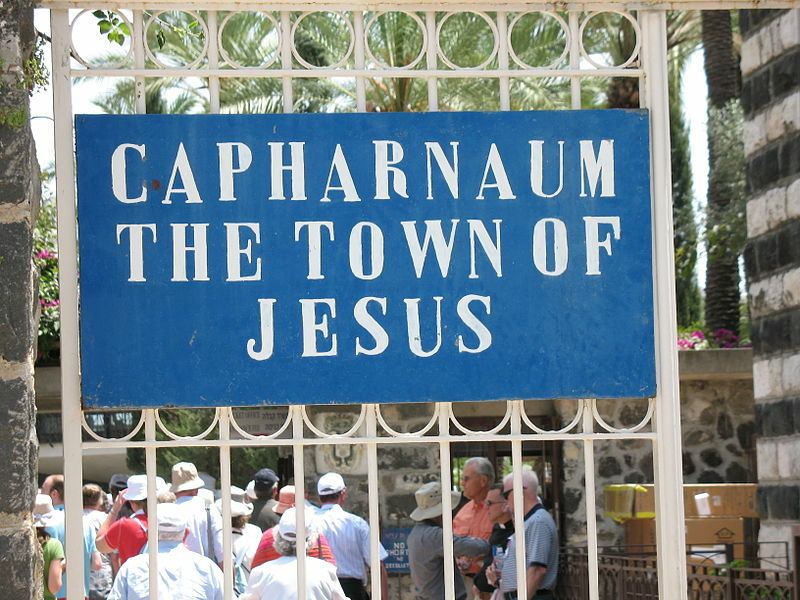 It doesn’t actually say so, but it sounds very like Capernaum, the place to which Simon and the others would naturally return and try to take up their old way of fishing. Jesus moved the forty or so miles from Nazareth to Capernaum, and there he made his home. Interestingly this is all rather far from the idea of Jesus as the wandering Son of Man with nowhere to lay his head. Perhaps, despite its convenience for those of us who wish to portray Jesus as identifying with the homeless in this way, this idea of Jesus having nowhere to go, nowhere to call home, is rather overblown. Yes, he did wander from place to place (as did many others in that place and time), but it also seems that he did have somewhere to call home. He did have that place where, as per the poet Robert Frost, if he turned up they would take him in – indeed where they would take him in with warmth and joy. So we may not have here a picture of Jesus sharing in the experience of homelessness or other privation. But what we do have here is a very clear statement about the importance, value and purpose of home. A place to belong, a place of welcome and warmth, a place of shelter and security, a place for friendship and for family, a place of provision and nourishment, a place for learning and growth, a place for healing and for rest. And, Son of God though he may have been, Jesus needed that as much as any other. In order for him to flourish, in order for him to be fruitful, in order for him to be human, Jesus made his home in Capernaum. roofs which are available with constancy and affordability, and at good quality. But it is about much more than that – about all that comes into mind when we use the word ‘home’. It is about security, about access to employment and fulfilling activity whether paid or voluntary. It is about privacy and also about relatedness in community to family, friends and neighbours. It is about time and space and money for leisure. It is about having enough food, and food that is good and affordable. It is about health of body and of mind and of spirit. And without a place that is home, all of that will not be. Within a short distance from here, but also in so many other places, there are people who literally have nowhere. There are others who have somewhere, but it is far from being home. 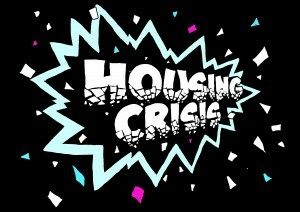 In this city, the housing economy is such that even the professional, the employed and the well-educated have declining hope of reaching that much-hyped goal of home-ownership. In some places, as we know well, we need to build tens of thousands of new homes – and we need them last week; while in other places, houses lie empty and derelict. We know it’s all incredibly complicated: the vacant and potentially affordable homes are often in the places where the employment isn’t. 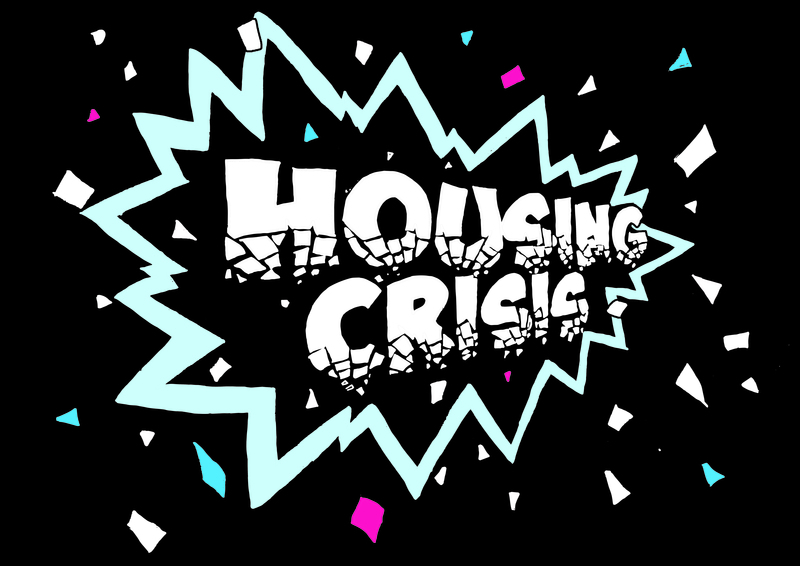 And where the employment is, people often just cannot afford to live there, or if they can just about do so, they are squashed into multi-occupancy or into very small spaces – even if the blurb calls it bijou. And a relatively few, including if we’re honest some of us here this morning, are able to float above all of that – though our children and our grandchildren may not. And I hardly dare take your thinking to those for whom home was once in Aleppo, or who live under an iron-sheet on the outskirts of an African city, or who, for any number of reasons, fear that they can no longer stay where they are. Jesus made his home at Capernaum; and every human being needs somewhere that is home. And that is, for me, a gospel imperative, meaning that we who are the followers of Jesus have no option but to work and pray that every human being will have somewhere that is home. And the good news is that every day and every week, there are those Christian people, and others with them, who are offering shelter in times of winter cold, who are finding ways to house the asylum seeker and the refugee, who are making new housing areas into places where it is good to live, who are working to free surplus property, church-owned and other, to be used for truly affordable housing, who are active in their local community to counter selfish opposition to needed development, and who are engaging in political and public debate on all these issues and more. And, given that this is also the Week of Prayer for Christian Unity, most of this goes on without people worrying too much whether the person alongside is Methodist, Pentecostal, Independent, Reformed, Orthodox, Baptist, Salvationist Roman Catholic – or even an Anglican bishop. I don’t suppose Jesus needed a key to get into Peter’s house in Capernaum. But most of us have a key in our pocket, purse or bag. Later today, we will use that key to open a door; and through that door is likely to be the place and space and people who for us are home. Today we’re being given another key. It is to put on our key-ring, so that we see it whenever we use our own key. It is blank. It stands for anyone who does not have a key to a place which is home. So whenever you use your front-door key – a reminder to pray and to act for those who have no key.